These days almost all the banks which are operating in India offer ATM card to all the people which own a account in their bank. Some banks provide ATM card to their account holders when you open your account with them. And some banks will provide it on demand, that is when you will apply for your card manually. Now I think you have already received your card and now you want to Activate Canara bank ATM card which you have received from Canara Bank. If you are searching online for an guide which will help you to get your card activated. Then you have been landed on the right website, because in this page on Online Indians you will find the procedure which you need to follow to activate Canara Bank ATM Card. 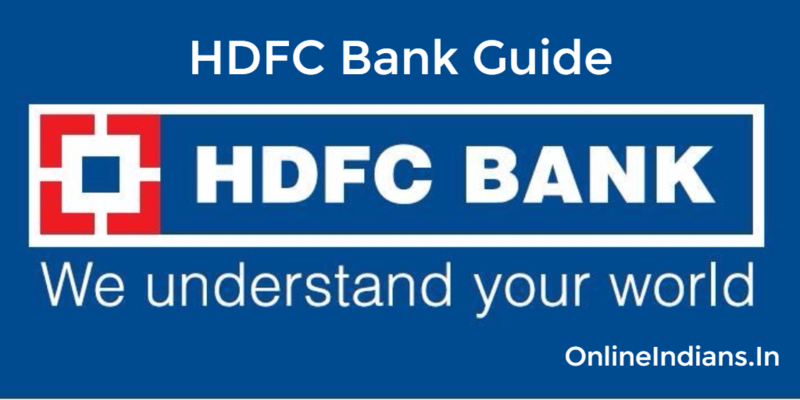 So now its time for us to get started with this guide and check out the procedure which you need to follow to activate your ATM card which is provided to you by Canara Bank. The first thing you need to do is, visit the ATM machine which is owned by Canara Bank only. Make sure that machine belongs to this bank only. If not then you will not be able to activate your card. In case you are not allowed to withdraw cash from your account, just visit your Canara Bank home branch the bank officials will guide you further to activate Canara Bank ATM Card. So this was how you can activate Canara Bank ATM card, I hope you are clear with all the steps which I have mentioned above in this guide. If in case you have any doubts or questions in your mind you can leave your comment below. I will respond to you as soon as possible to me. And if you want to get assisted quickly you can visit your Canara Bank home branch in working hours. We are private website and not the official Canara Bank website. I suggest you to open Canara Bank Official website and contact them for your concern about Setting up a New ATM machine at Bhognipur, Kanpur. Mai Canara bank Ki app me use Nii kr pa Rhi hu ..
Hi Priyanka, the card can’t be blocked if you haven’t done this. I think you should contact your bank for this. Because sometimes if someone tries to use your card with wrong PIN online in this case your card can be blocked for your security purpose. Don’t be panic, just visit your Home branch and they will guide you about this and tell you the right reason why your card is blocked. Hi Uma, you can’t renew any of the ATM or Debit card online. But if your ATM card is expired and you want a new one the I recommend you to read my guide to apply for New ATM card in Canara Bank. Hi Santosh, you have to contact your home branch to check this issue. Note: The data is hidden by admin of Online Indians for security reasons of the website reader. Hi Sandhya, if your card is not working then there maybe some problems like the card is not activated or even it may be blocked by the bank. So I suggest you to call customer care by calling them at: 1800 425 0018. Sir i have forgotten my ATM pin tell me what should i do ???????????????????? The procedure mentioned to activate a new ATM card is correct. But it is important to visit the ATM machine after three days of the issue of the card to activate it. Other wise machine shows the message invalid card. Please tell me about.. new atm card kitne hours baad activate ho jata hai.. please tell me. Please activate my dabit card.. my card not activate from one week. My card number is 5089254272002243. Please check my details.